The AIRFRAME™ - Fatigue Has a New Enemy - Levitate Tech. Introducing the AIRFRAME™, a practical new device that reduces muscle stress and fatigue – making the end of the day feel like the beginning. 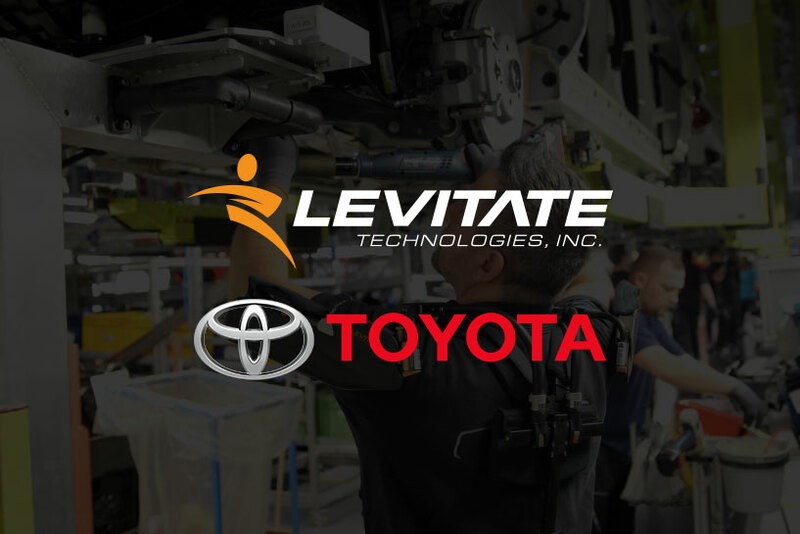 The Levitate AIRFRAME™ is a wearable, lightweight technology engineered to improve upper extremity musculoskeletal health in professionals and skilled trade workers who engage in repetitive arm motion and/or static elevation of the arms. The AIRFRAME™ lowers exertion levels by up to 80% – keeping workers healthier and more productive, while mitigating healthcare and disability costs. 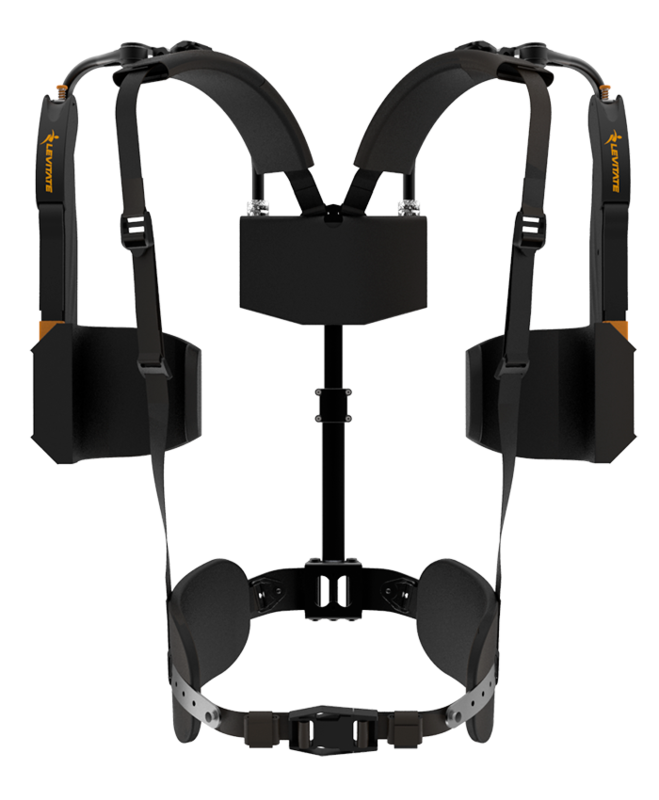 The AIRFRAME™ transfers the weight of the arms from the shoulders, neck and upper back to the body’s core, evenly distributing energy to reduce stress. 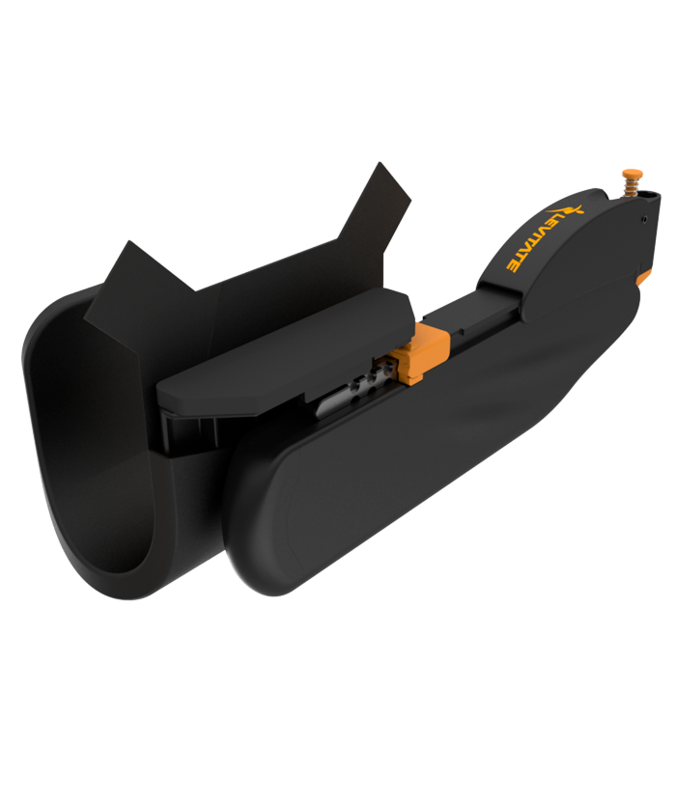 It slips easily on and off, and moves seamlessly with the wearer without intruding into the workspace or limiting motion or dexterity. The AIRFRAME™’s mechanical support system progressively activates as the arm is raised, and gradually releases as the arm is lowered, resulting in just the right level of support – at just the right time. It’s personalized to fit each wearer, so they can use their arms as normal while enjoying reduced fatigue and comfort they never thought possible. Anything we can do to make our team members feel less fatigued is a plus, we are engaging them through this whole process from trial to final product. The benefits of this device have been incredible. The team members that have used this tool are happy to use it and have seen more prolonged work activities without feeling fatigued by the end of their shift. There are more than 650,000 cases of work-related musculoskeletal disorders (WSMD) annually. 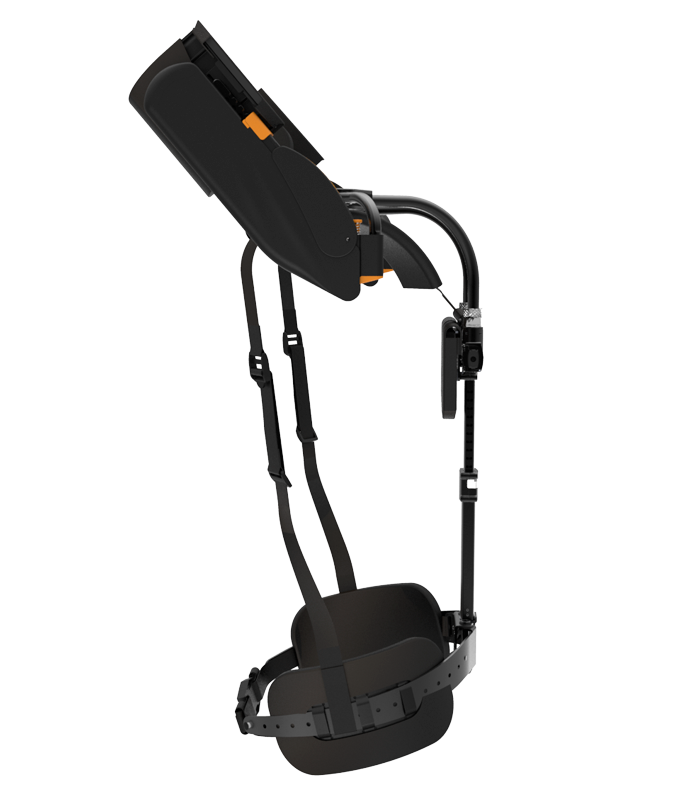 The AIRFRAME™ lowers exertion levels by up to 80%, significantly lowering injury risk. WMSDs are responsible for $50 billion in lost productivity annually. The AIRFRAME™ keeps workers healthy, and production humming. Muscle stress and fatigue are the enemy of productivity. The AIRFRAME™ allows workers to maintain quality and precision for longer periods of time. Musculoskeletal disorders represent $1 of every $3 spent on worker’s compensation. The AIRFRAME™ limits exposure to these injuries, reducing costs and boosting profits. We offer full, on-site training for both workers and safety engineers on how to custom fit and operate The AIRFRAME™ for all users. The AIRFRAME™’s sleek, aerodynamic design and lightweight material construction make wearing the device feel nearly unnoticeable. Each AIRFRAME™ is custom-fitted to the individual user, allowing the device to fit comfortably on any body type or size. 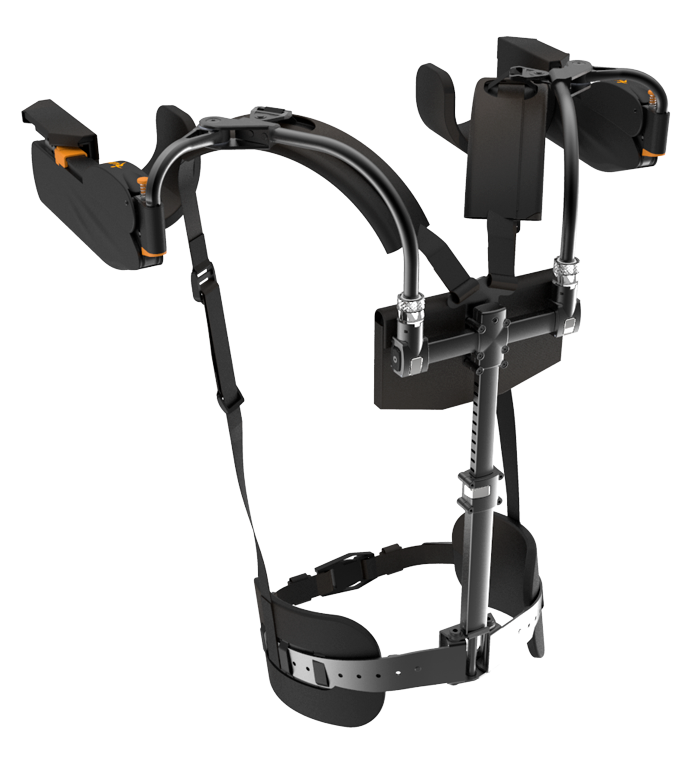 The AIRFRAME™ offers full range of motion, allowing the user to easily perform any task without limitation or stiffness. The AIRFRAME™ requires no electrical power – it is mechanically engineered to rely on a patented system of pulleys.